Tuesday, September, 4th marked the first official day of this semester’s ‘service learning’. When 3 o’clock arrived, the High School students of MBIS made their way to the auditorium to welcome the children for whom MBIS students will be offering their service. The groups that come on Tuesdays include: Vasant Dada Patil Marathi School, Mulkhed Primary School and ‘Doorstep’. ‘Doorstep’ is a group that brings local children of various ages together, to not only study, but to learn a variety of sports. For all of these children, the student and teacher body has set up a number of activities for the members of these groups to participate in. The activities on offer are lessons in Art, written and spoken English, mathematics, swimming, science, football, basketball and cricket. We hope that the experience of learning in our school environment will be equally beneficial to both the children and us. Besides providing service for external students, the service learning programme also has activities for students of MBIS in MYP 1, 2 and 3. There is a Peer tutoring programme where older students assist with schoolwork in a range of subjects, a ‘tech and maker’ club and a Health and Nutrition club. What are your expectations when you come to this school? Is this the first time you are working with them? What is your first impression of our students? The boys are very hyped and the girls are really quiet. (MBIS leader) What are some of your goals, either personal or as a team, to accomplish this year? We aim to teach them the basics of English by the end of the year. They barely know any words in English at the moment. We also interviewed a student belonging to the ‘Doorstep’ team: Vasant Dada Patil Marathi School. What will you be teaching the students from ‘Doorstep’ this year? We will be teaching Art to 6 to 10 year olds. What is your first impression of the students from ‘Doorstep’? They are very focused, and looked very enthusiastic, and I feel we are very fortunate to be teaching them. What are some of your goals, either personal or as a team, to accomplish this year? To imbue my knowledge of art to these children, and in turn gain some knowledge from them: how they learn. After two weeks, it appears that we are set for a very productive year of ‘Service-learning’. Each project and class has shared their aspirations for the next few months and all seem equally intriguing and exciting. It is clear that, in the multitude of opportunities that the students of MBIS are offering, the group leaders, teachers and coaches have chosen to be part of this programme out of passion for what they will teach, not out of obligation. 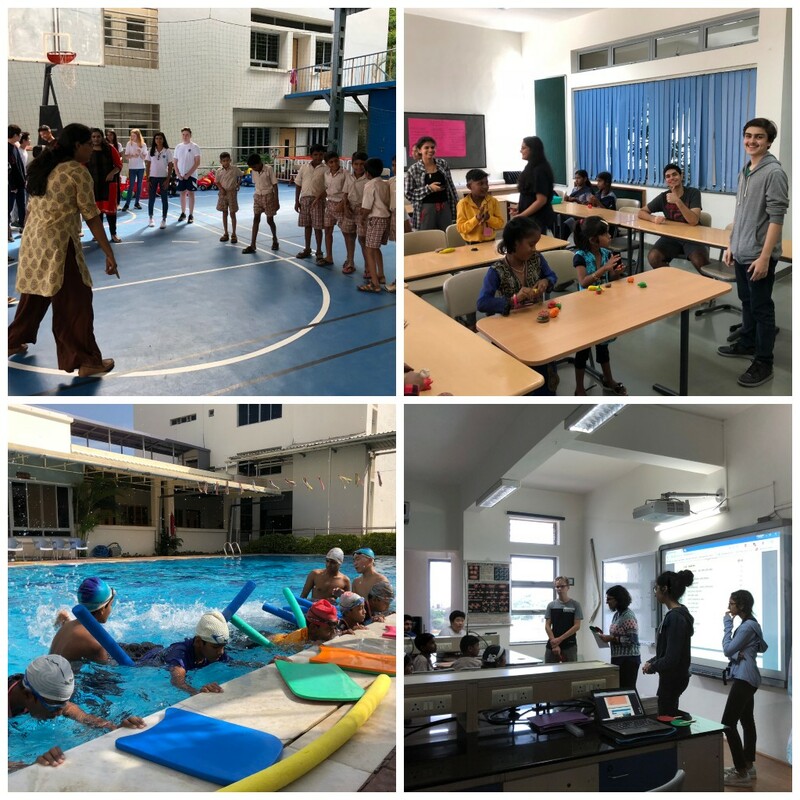 This year we have a number of teachers from the PYP, MYP and DP, all working together to guide and support the students to achieve their goal of reaching out and in turn learning out of this experience. This prospect is what the student body hopes to achieve this year.